Welcome to the beginner series! I know it is intimidating to start those first few pages journaling in your Bible. You can do this! These candles go well with many Bible verses, I used them with Luke 11:33-36. Supplies- Washi Tape (sold at craft stores or online), a pen, scissors, and orange for the flame (there are a variety of supplies you can use for this). 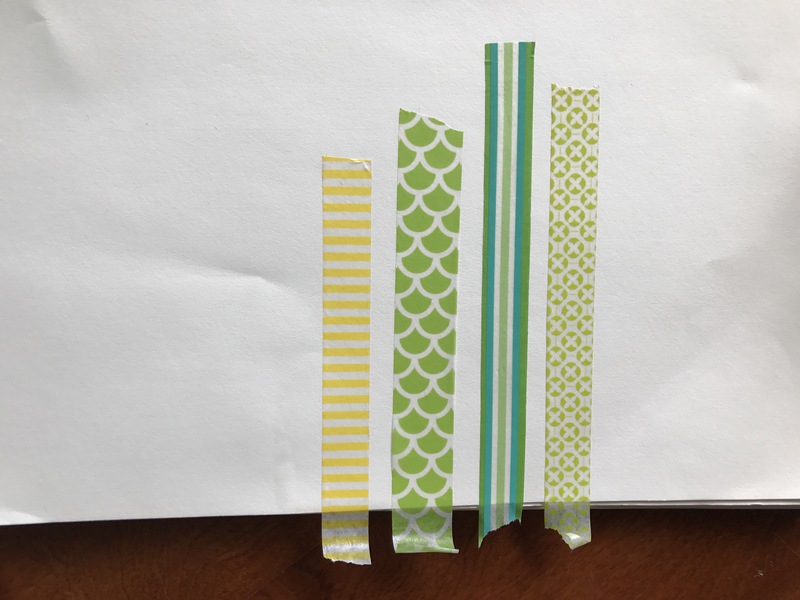 First, put a few strips of washi tape down. I like to use two or three different tape thicknesses, for variety. Trim the excess off the bottom of the page. 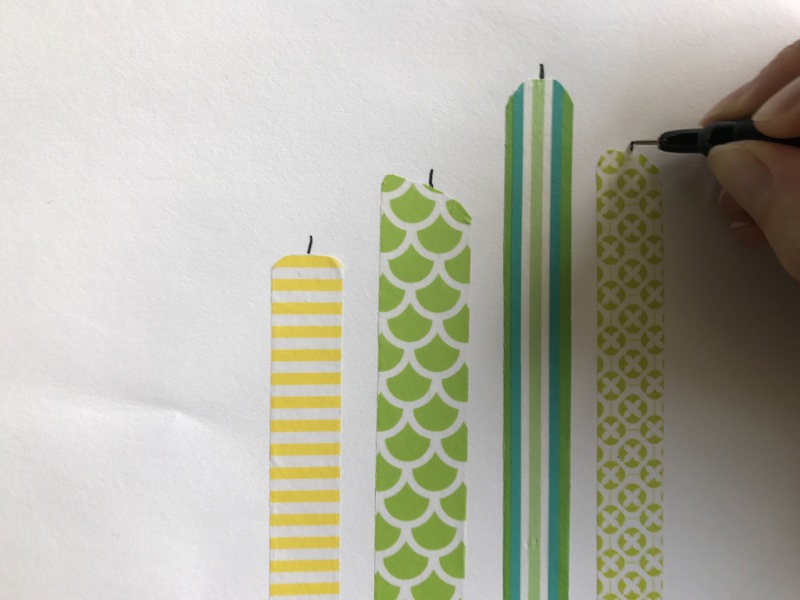 Next, peel the top of the candle back a bit, and trim to round or slant the top of the candles. Then use in art pen to make a line for the wick . Next add the flame. 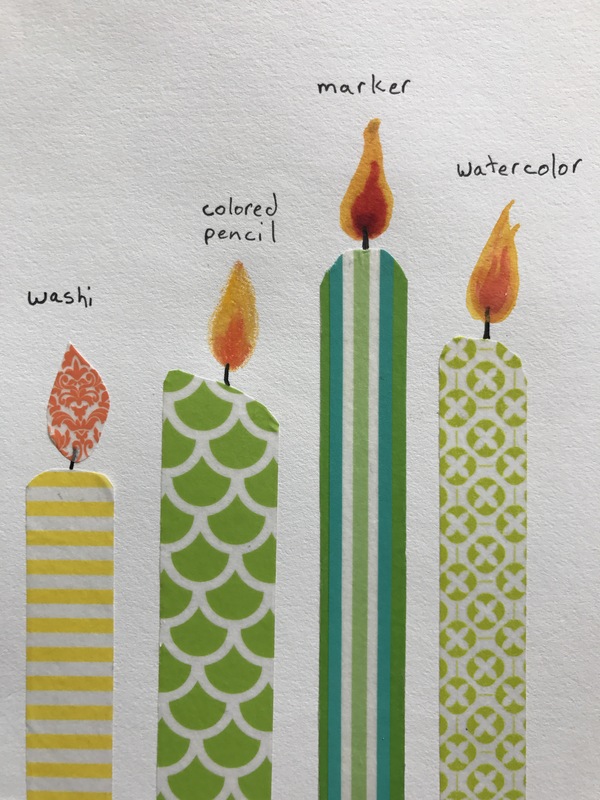 Here are examples of a piece of washi tape cut into a flame , colored pencil, marker, and watercolor flames. I used a watercolor flame in my Bible. I like the way it looks, but it did make the page wrinkle. That is it! You now have a unique page in your Bible!